One of Samsonite’s current bestsellers is their “Leather Expandable” briefcase because of its spacious design, professional appearance and reasonable price. In my review, I’ll be seeing if the Samsonite Leather Expandable briefcase is worthy of its popularity and analysing its good and bad points. 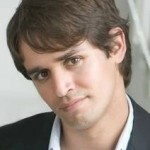 Looks classy, solid and professional. 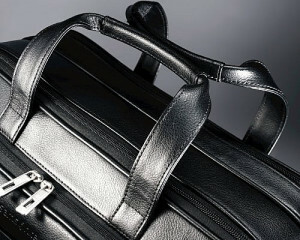 Outer frame helps to maintain the briefcase’s shape at all times. 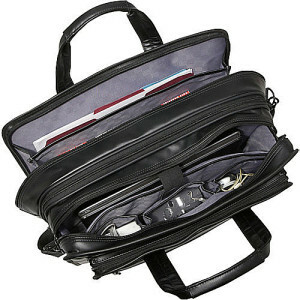 Expandable via the zipper beneath the briefcase making it even more spacious. There are lots of different compartments. The light grey chequered interior looks stylish and makes it easier to find things. The rings and clips that hold the shoulder strap are copper that’s coated in black paint making it more susceptible to chippings. Although it’s better designed, it’s not as good quality as the original Samsonite Expandable Leather. Could do with a sturdier handle. 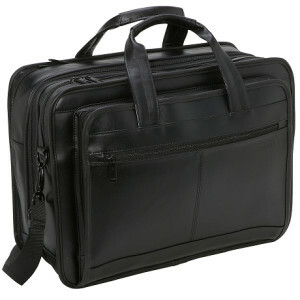 Dimensions (inches) 16.75" x 12.25" x 7.25"
The black zipper gives a touch of class and has useful padlock holes. To the naked eye, the Samsonite Expandable Leather briefcase is attractive to look at and really gives off a professional vibe especially when there’s a bit of weight inside. The “leather” has sort of a glossy look but it doesn’t look tacky like cheaper briefcases. The outer lined edges helps to maintain the shape of the briefcase regardless of how much stuff you put inside, so it never looks bulky. This is a great thing because a bulky briefcase that loses its shape just looks totally unprofessional not to mention being very awkward to carry. 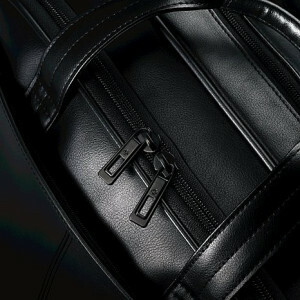 The black zippers add a touch of class to the briefcase, and they have the always useful padlock openings. I’m not too keen on the rings and clips that holds the shoulder strap because they are copper coated in black paint which can easily be chipped off when they rub together. When compared with the original “Leather Expandable” by Samsonite, the modern version looks better but it seems that the craftsmanship quality has somewhat dwindled. This is quite evident by its thin leather, which is either low quality leather or leatheroid (imitation leather) that covers the mesh fabric underneath it. The handles don’t seem very sturdy. If you’re like me and prefer carrying a briefcase by the handles instead of the shoulder strap, then it’s advised that you probably shouldn’t pack this briefcase up to the brim before doing so. This is because the handles are quite thin like the rest of the briefcase, and it should have been doubled stitched as well as stitched around a bigger surface area to make it much sturdier. Because of these issues, a few users have stated that it gets worn out quicker than expected, so I would presume that this briefcase is better for occasional use rather than frequent, especially if you have a lot of stuff to carry. With the large amount of compartments and space within, some sacrifices must be made when it comes to comfort for the Samsonite Leather Expandable briefcase. 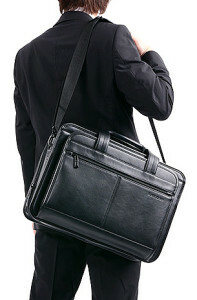 The shoulder strap is what you would see in most other briefcases around this price range. It’s very strong nylon strap with a leather shoulder pad to ease the strain on your shoulder. The thing that makes this briefcase slightly uncomfortable is the size of it. At 16.75 inches wide, it’s quite long to carry and the width is 12.25” which is slightly bigger than most briefcases, but when expanded using the zipper at the bottom, the width increases by around an inch, making it even more awkward to carry around. If you’re quite small in stature then obviously this may be even more difficult for you to carry and it can also look quite big on you, especially if you’ve filled all the compartments up. Here’s the great part of this briefcase, and if compartments are what you’re looking for, you will not be disappointed with this. Let’s start on the outer front and back where there are quick access zipped compartments that has a lot of width, but a bit limited on volume inside. That’s fine because these are only supposed to hold things like passports, letters, thin books etc. At the back, there’s also a bottom zipper that uncovers an opening for a telescopic handle to pass through, which is very useful for traveling. The very first main compartment towards the front has pouches and holders for stationary and other small items such as mobile phones, computer mouses and business cards. There’s also another narrow zip compartment above these. 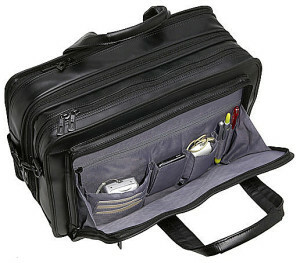 The second compartment from the front has a padded laptop compartment with a Velcro secure strap. Although it states that it’s for a 15.6” laptop, some users have managed to fit their 17” laptop inside. Three large pouches are opposite the laptop compartment, where you can place external hard drives and chargers. The zipper in the middle is for expanding the briefcase, and the last compartment has a divider that separates one section into two. This is ideal for holding multiple folders or books. Bear in mind that all compartments feature a grey chequered interior design which looks elegant and also makes it easy to find your things. The few quality issues regarding the Samsonite Leather Expandable briefcase has put frequent wearers off, but the large majority of users have praised it on its spaciousness, different compartments and appearance. I would recommend this briefcase to you if you always have to carry around many things in a professional and formal environment. Just be careful not to use it excessively under a lot of pressure from packing it to the brim. If you’re looking for something that’s also professional and classy but a bit slimmer, I highly recommend you to check out the Samsonite Colombian Leather Briefcase and the Kenneth Cole Show Business Leather Briefcase.